Polymail Updates: Comments, Mentions, and Slack Integration! Introducing Polymail's new user referral program! We’re excited to announce our new user referral program, making it easier and more rewarding to share Polymail with your friends and colleagues. Introducing the new Polymail Mac app! Learn about the new features, changes, and improvements in the biggest update we've made to the Polymail Mac app. New in Polymail: Salesforce import and more! Polymail's latest update brings powerful new features to Sequences and Salesforce Integration. We’re proud to announce the launch of the all-new Polymail Web app! 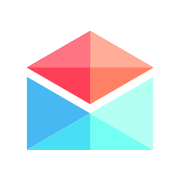 We completely rewrote Polymail from the ground up to create a better, faster experience and bring you all-new advanced features. How Long do People Take to Respond to a Business Email? Ever wonder how long people take to respond to an email on average? We crunched the numbers using data from Polymail to find out. A story about how we capitalized on managed databases services to address scalability issues tens of millions of emails, and our experience tackling fires in production. A regularly updated collection of 70+ real-world examples of cold email templates and follow up cadences from companies selling into early stage startups. Our mission at Polymail is to make the world more successful through communication and collaboration. Today, we're excited to share that our latest release brings a huge update to streamline your team's sales activity with Polymail - Salesforce Integration! New in Polymail: Follow Up Reminders and Stars! We're excited to announce two new features in our latest update - Follow Up Reminders and Stars! Polymail Teams brings the simple, user-focused experience of Polymail to teams in sales, business development, or outreach of any kind. Charities and nonprofit organizations continue to make incredible contributions to the world’s most important social causes — fighting poverty, empowering education, and defending civil liberty — among countless others. We’re proud to announce that we’re launching Polymail for Education to make Polymail Pro easily accessible to students and members of student organizations! Introducing the (interactive) Polymail Product Roadmap! It’s been almost a year since we first launched Polymail with the vision of redefining how people work, communicate, and collaborate with email. Today, we’re excited to announce the next step in our journey — Polymail Pro is now publicly available to everyone! Copyright © 2017 Polymail, Inc.